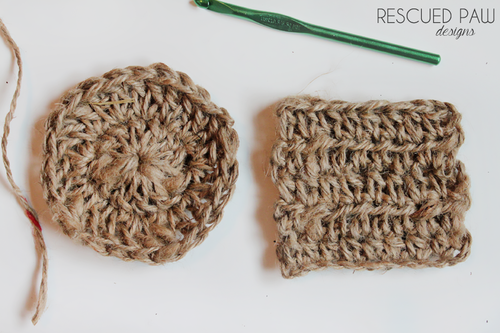 These crochet coasters are super simple to make and work up quickly. 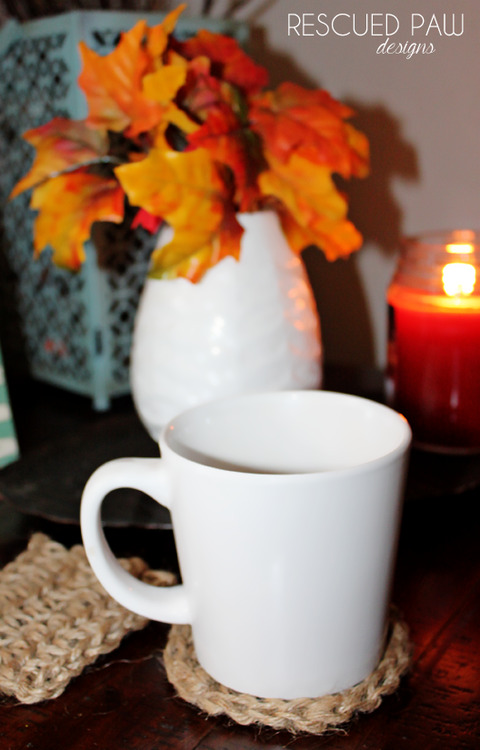 Not only are they great for a cup of hot coffee but, they can double as pretty awesome looking fall decorations. I made a circle and a square to show today as examples but since I equally like them both I’ll let everyone else decide which one is best! 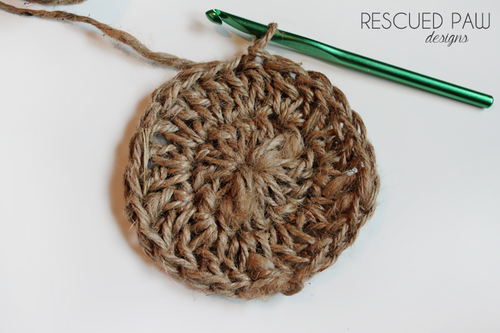 Now let’s get on to the fun crochet with jute twine pattern..
Fasten off, Cut twine and Weave in loose ends with Yarn needle. 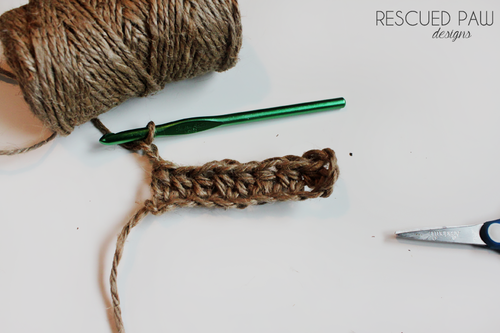 *Chain 2, Half Double Crochet in 3rd Chain from hook and every chain across. Turn. repeat from * for a total of 5 rows. 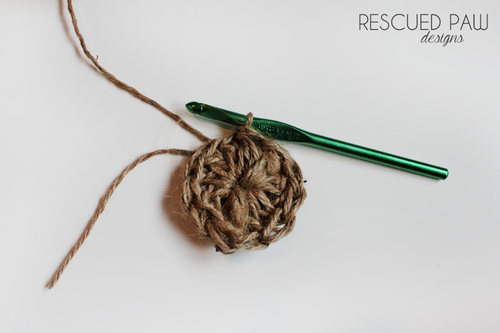 Fasten off, cut twine with scissors and weave in loose ends with a yarn needle. 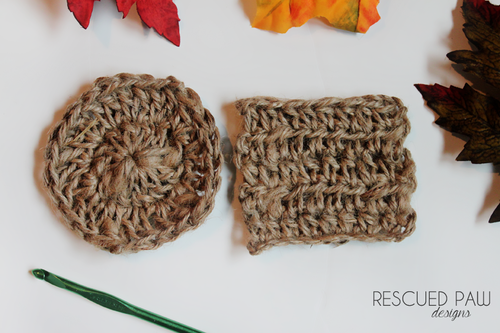 Repeat as much as you want for desired amount of coasters! 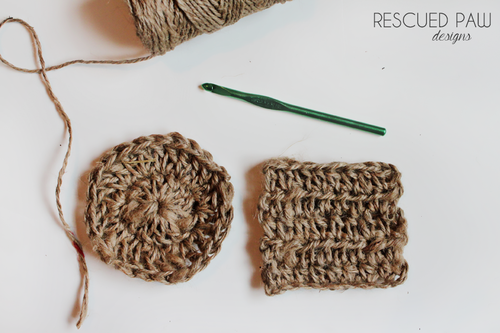 Then sit back, sip some tea (use your new twine crochet coasters!!) and admire your work. 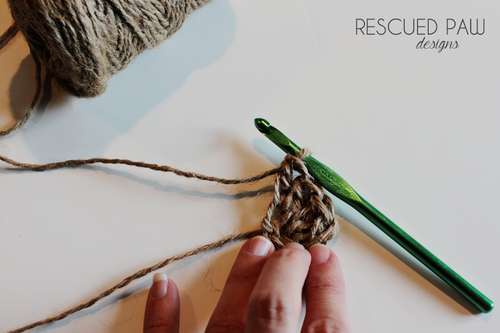 PS: I am always pinning FREE crochet projects and tutorials from the Internet on Pinterest so please come check me out by following me HERE and If you have any questions feel free to email me or message me on Facebook. I am always willing to help in any way!